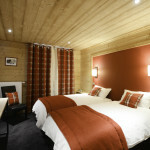 All prices are per person based on two people sharing a twin/double en-suite room. Winter – prices shown are for a ski short break. Sunday arrival (4 night stay) does not include dinner on chalet night off. Thursday arrival (3 night stay) is fully catered. February 2019 are for 7 nights. Of course 7 night stays at other times are also available, please call for prices. Chalet night off – Tuesday. Summer – prices shown are for 7 nights, however you can arrive and leave any day, subject to a min. 3-night stay. We can arrange airport transfers. 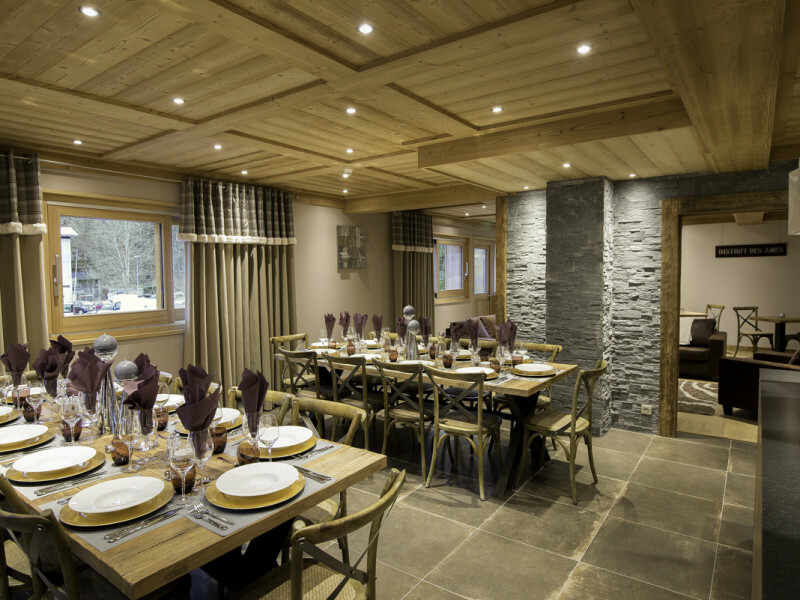 The Chalet Catherine is situated in the perfect location, quiet and just a short walk to the village centre and lifts, whilst offering great food and Ski Morzine hospitality and service. 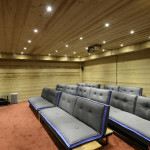 Ideal for adult groups and couples with a wonderfully relaxed grown-up atmosphere. 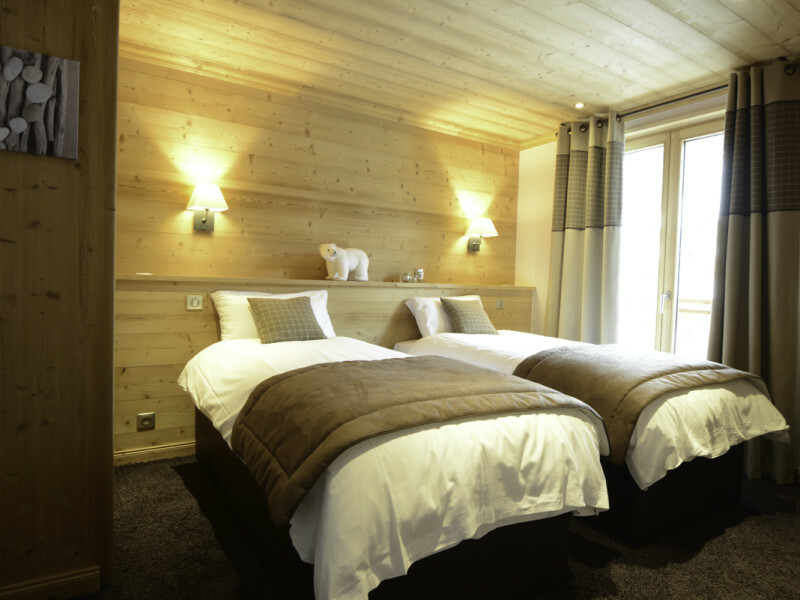 It has everything you want for a perfect alpine holiday. 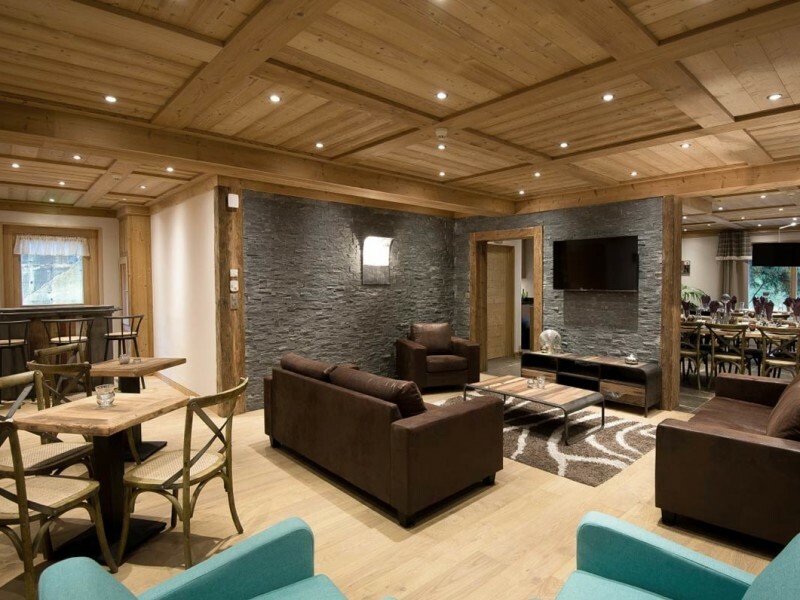 A stylish modern chalet with traditional features. A spacious lounge/bar with relaxing sofas, large TV screen to watch your favourite UK TV shows and dining room where you’ll be served wonderful food with stunning views of the Pléney. 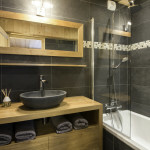 All bedrooms are en-suite and individually styled, comfortable 1000 pocket spring beds, white Egyptian cotton bed linen, throws, fluffy towels, bath robes, toiletries and hair dryers. Modern day ski essentials have not been forgotten, sauna, massage, boot warmers, hired ski equipment delivery to chalet and WiFi throughout. Good food is an essential ingredient of every chalet holiday. From the welcoming glass of bubbly and appetising canapés on your first evening, your chef sets the tone for a week of mouth-watering cuisine. Your day will start with a cooked breakfast or porridge if you prefer; all served with fruit juice, cereals, yoghurt, freshly baked bread, croissants, jams, and a selection of teas and fresh coffee. Afternoon tea will be waiting for you with freshly baked cakes, bread, jam, tea, coffee or hot chocolate. Aperitifs and canapés are followed by a four course dinner which includes delicious local cheeses, and all complemented by a selection of quality French wines. There is always one night off per week when you are free to explore the large number of Morzine restaurants who provide a great choice of local food to suit all tastes and budgets. Room 9: front-facing double-bedded room, en-suite shower/bath (restricted head-room) including WC. Balcony. 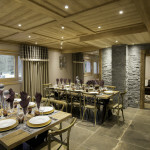 Our catered chalet holidays include “gastro” style evening meals with French cheeses and wine. A breakfast buffet with cooked option, freshly baked cakes after the slopes, PG Tips tea and use of the espresso coffee machine. Our chalets are available for CHECK IN from 4pm on the day of arrival and CHECK OUT is at 10am on the day of departure. Please bear these times in mind when booking your flights. We can’t include everything although we do our best! There are a number of things we can organise for you before you arrive, such as transfers, equipment hire and ski passes. We can also accommodate large groups, birthdays and special occasions so please let us know before hand. Chalet night off in the summer is Wednesday and winter it’s Tuesday when you are free to explore the large number of Morzine restaurants who provide a great choice of local food to suit all tastes and budgets. 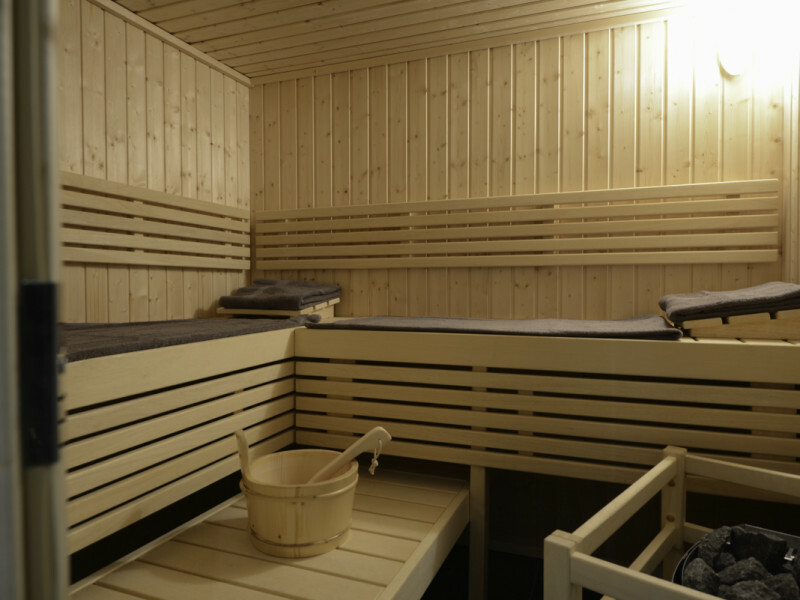 We can also arrange massages in your chalet and other mountain activities for the non-skiers in your group. 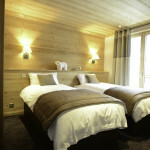 There are special offers for this chalet so check them out. 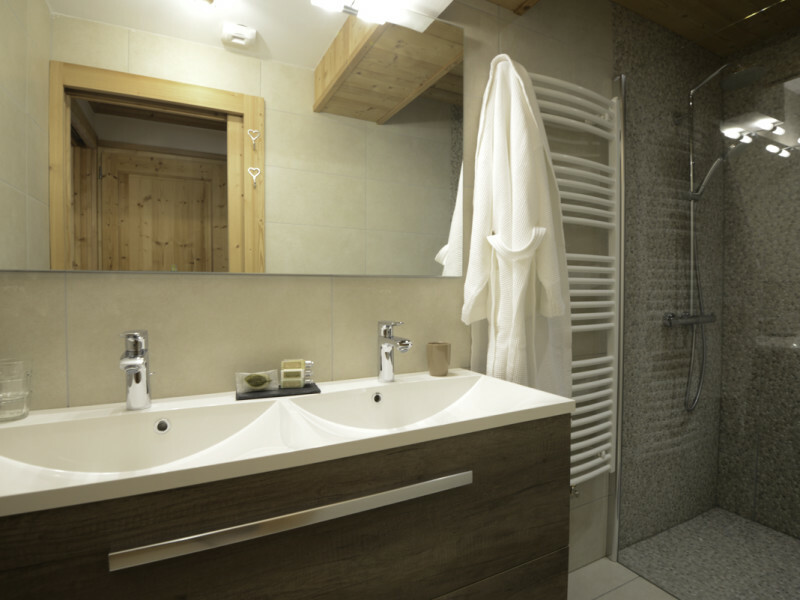 Chalet Catherine is located on the picturesque river valley of Dranse de Morzine. With comfortable sofas, chairs, UK TV channels and views of the mountains. From here you can see chef create the wonderful food you'll eat. 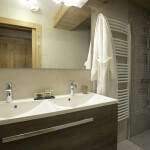 A typical bathroom at the Chalet Catherine. 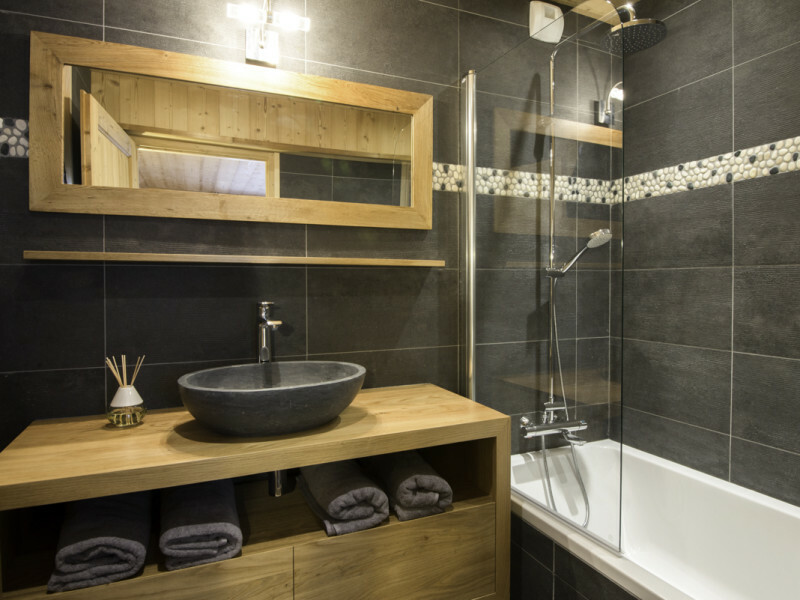 This one has a bath with overhead shower. All our twin bedrooms can be made up a doubles. This bathroom has twin hand basins and a walk-in 'monsoon' shower. 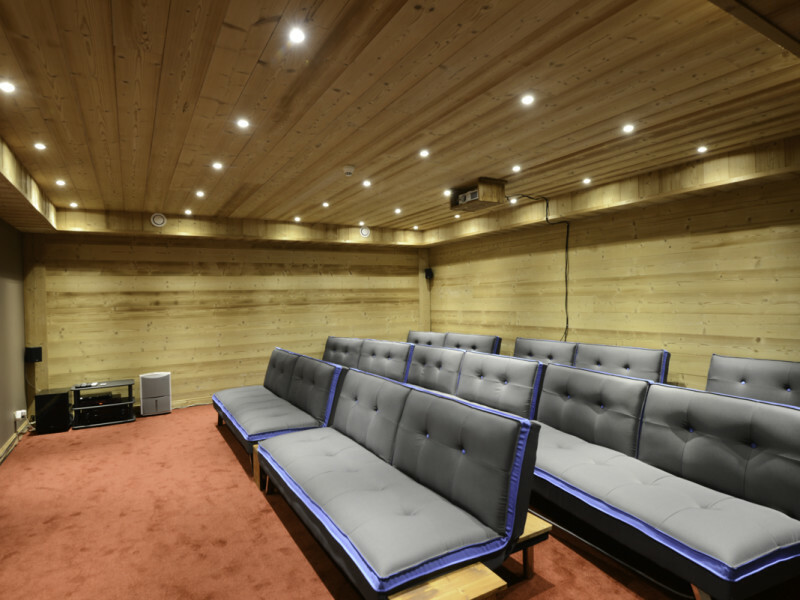 The chalet has its own cinema with comfy seating, fridge and full 'surround sound'. 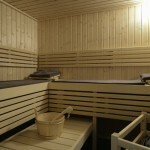 The chalet also has its own sauna and massage room. 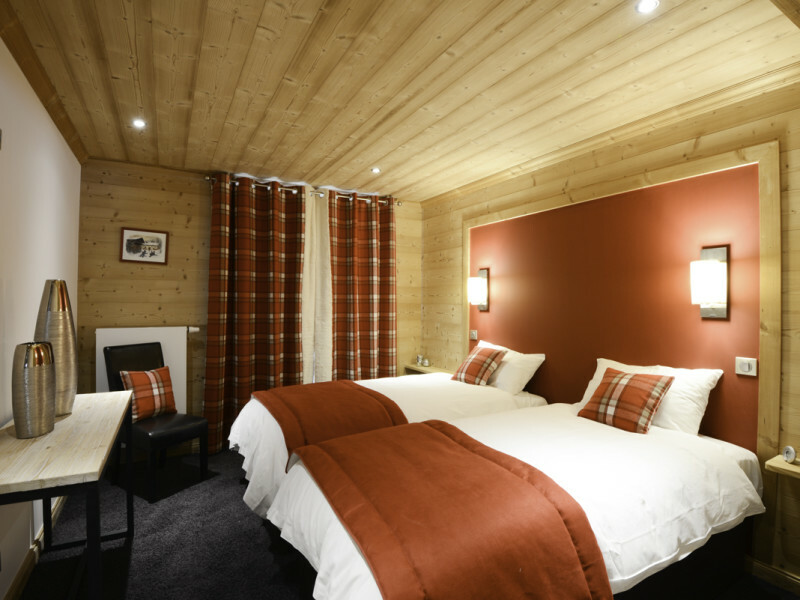 A seven night stay in ANY of our Morzine catered chalets is great value. So, call Jessica or Marie on 01932 837 639 for a quote.